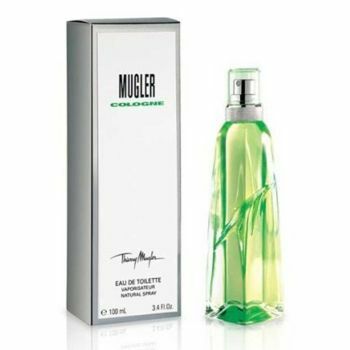 The Mugler cologne is invigoratingly fresh, traditionally elegant, or elegantly traditional evocative of the "miraculous waters" that inspired Mr. Mugler. Simultaneously elegant and seductive, intense and subtle, this familiar yet innovative eau de toilette plays on duality making it equally attractive to men and women. The fragrance is encapsulated in a pristinely sleek perfume bottle with curved lines and a futuristic seal. And the energising colour is a gentle reminder of the sensual freshess contained within. Fragrance notes: neroli, bergamot, white musk.